Lake Norfork, with 22,000 surface acres of waters to explore, is a major recreation center in northern Arkansas. The town of Mountain Home is its host city. Although the blue waters are a water sports playground in the summer, fishing and boating continue year-round with no closed fishing season. Lake Norfork is an outstanding fishery, well known among anglers for the striped bass it yields. 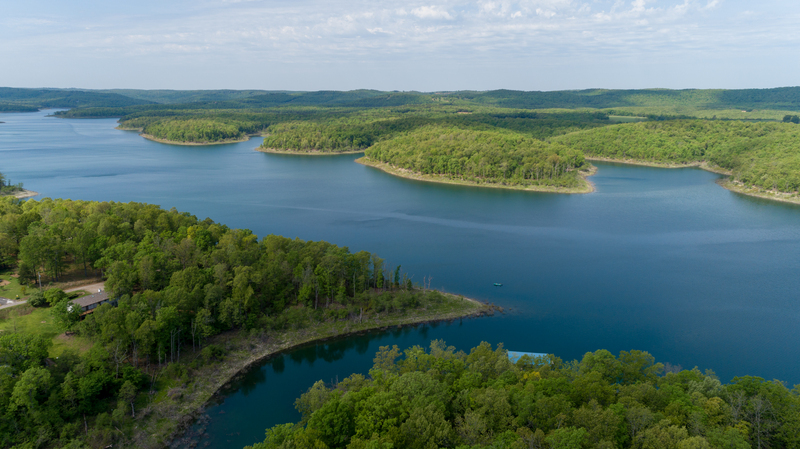 Fishing enthusiasts from throughout the country seek out Lake Norfork as well as its nearby “twin” lake – Bull Shoals Lake, also formed by White River Basin waters. Developed lakeside parks offer campsites (rustic to modern), picnic shelters, designated swimming areas, and boat-launching ramps. Some have fishing docks for use by the handicapped, elderly, or youths. Visitors choosing not to camp have many choices of accommodations: lakeside resorts or motels, in-town motels/hotels, riverside resorts, or bed & breakfasts.